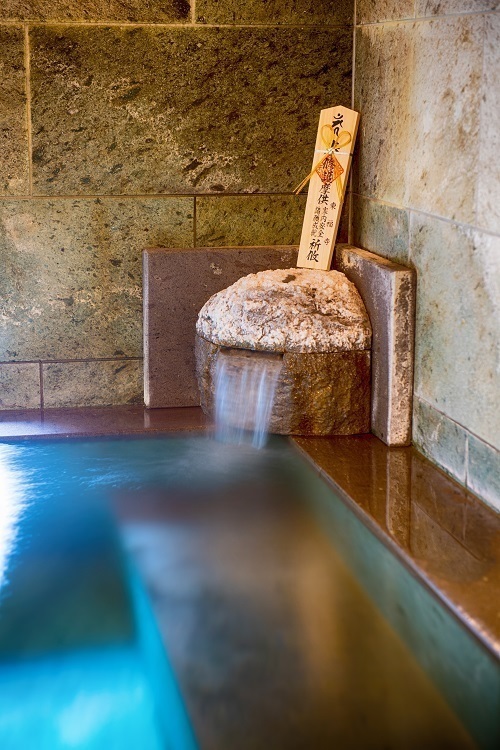 Since ancient times, Itamuro Onsen has been associated with three prayers - namely, prayers beseching well-being for children, cures for breast cancer, and healing for arthritis & neuralgia. Those visiting the onsen for such purposes are said in Japanese to undertake ‘onsen mairi’ – visiting an onsen with a humble purpose in mind. It is believed that each prayer offered adds to the healing powers of the waters themselves, making bathing there an excellent choice for spiritual people as well as for those who simply wish to immerse themselves within local Japanese tradition. For the highest quality spa water, ‘onsen mairi’ takes place from January to March.